Spokane Rising | Page 14 | It's our city. Let's build it up. 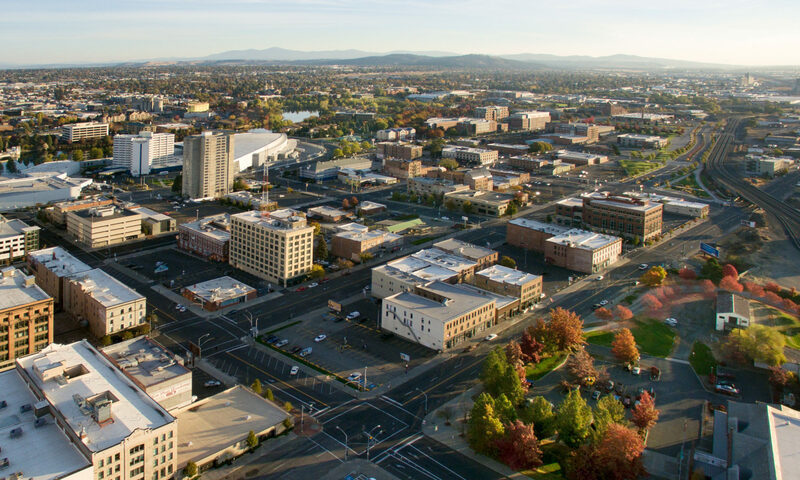 More than anything else, it’s been said that in order to build a greater sense of vitality in the city, Spokane needs to attract young, urban professionals. But how do we attract the jobs in technology, high-tech manufacturing, and biomedical development which they require? Perhaps with something like gigabit Internet. You know, that startlingly fast network that Google is building out in Kansas City (and now Austin, TX and Provo, UT)? Spokane should attempt to build something similar for consumers and businesses alike. If Spokane wants to move forward, it should look at building out or contracting with a partner to build out a gigabit internet network. I mean, just look at Seattle’s Gigabit Squared project. (Although that project has apparently since died, it represented a forward-looking vision for the city.) It’s time we developed something similar. While some around here may complain about large-scale public art, we think people are too quick to judge. Public art can be beautiful, expressive, and convey larger cultural truths about the area in which it is located. For example, some art pieces completed for the Vancouver Olympics represented the First Nations relationship to land, earth, and water. No word on what this piece, also from Vancouver, represents. Welcome to LAUNCH WEEK of The #spokanerising Project! Welcome to Launch Week of The #spokanerising Project, a collaborative project intended to make our community a better place. We hope that you will share this blog on Facebook and Twitter in order to spread the word of our official launch. While our story starts in January 2014, it should perhaps start eight years earlier, in 2006, with the launch of MetroSpokane, a blog which challenged the norm and questioned what, precisely, is possible in Spokane. Though we didn’t run MetroSpokane, we did read it, and we noticed a few things when we did. Idea #2: Complete the Centennial Trail. For real this time. It’s time to complete the Centennial Trail. That means that we need to fill in the gaps. And not just some of them. We should fill in all of the gaps and completely separate pedestrian and bicyclist traffic from motorists, even in Spokane proper. The resulting Class I trail would span nearly 70 miles across two states, one of the longest and most widely-used urban trails in the United States. Without a doubt, I don’t know if we would have focused on that block without Walt Worthy building that Convention Center hotel. Chris Batten, co-owner of the former Huppin’s property at 421 W. Main in downtown Spokane. Batten, along with business partners Bobby Brett and John Pariseau, intend to extensively remodel and lease the building to Spokane Exercise Equipment, among other tenants. The full article, with architectural renderings, is available here at the Spokesman. It’s time for green bike lanes to hit Spokane. While the city has been making great strides toward increased uses for pedestrians and bicyclists alike, each step forward has been marked by a half-step backwards; for example, Second Avenue was reconstructed without a bike lane, despite master planning documents stating that one was to be included. Regardless, green bike lanes would better demarcate the lane for cyclists and further reduce traffic speed.